Acetyl-L-Carnitine HCl (also known as ALCAR) is an ingredient that is sometimes found in dietary supplements such as those designed for weight loss. The reason is that it has been found to provide its users with a number of different potential benefits such as those that promote greater ease of weight loss, as well as mood support, and improved overall health. There have been a considerable number of studies that have been conducted on Acetyl-L-Carnitine HCl in order to better understand its various effects, safety levels, and potential side effects. It has been determined to have an effect that increases the metabolic rate – which can improve the speed of fat burning – as well as effects that can enhance the function of the brain in order to reduce the symptoms of depression. It is also believed that this ingredient works as an antioxidant. Among the studies conducted on this ingredient includes one that was published in the European Journal of clinical Pharmacology, called “Metabolism and disposition of intravenously administered acetyl-L-carnitine in healthy volunteers.” Within that research, human volunteers were asked to use this substance. The effects on their bodies were measured by the researchers and was found that the improvements occurred gradually and continued to increase over time. This allowed benefits to continue to be measurable even after 12 hours had passed since the previous supplement was taken. 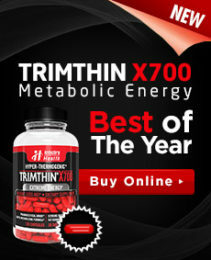 This indicates that dieters will be able to take advantage of the fat burning and mood support advantages that are presented by this ingredient when it is included in appropriate amounts within their weight loss supplements, but it also indicates that those effects will continue over a very practical length of time. Therefore, it could help dieters to avoid the spike and crash of benefits that are all too common within the over the counter diet pill industry. 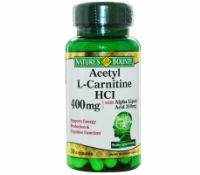 For best results in using acetyl-L-carnitine HCl, it is highly recommended that a regular exercise program be adopted. The reason is that while metabolism boosting can help to burn more calories and stored fats on the body, in order to make that effect something that will be positive and measurable, the metabolism needs to be revved up in a natural way, as well. The most effective way to accomplish that goal is to take on cardio exercises most days of the week. This ingredient is typically used as a part of a broader formula for the purposes of weight loss and is not usually used as a supplement all on its own.